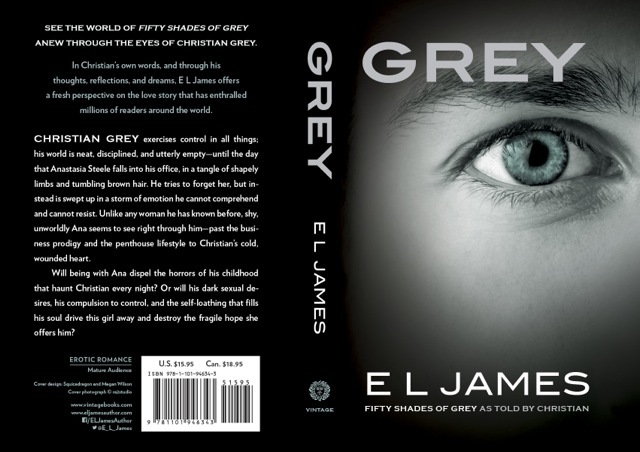 E.L. James Announces Christian Grey’s POV!!!!!!!!!!!!!!! So, E. L. James broke the instaweb this morning with her tweet announcing that she will be releasing her latest book—Grey, on June 18th. 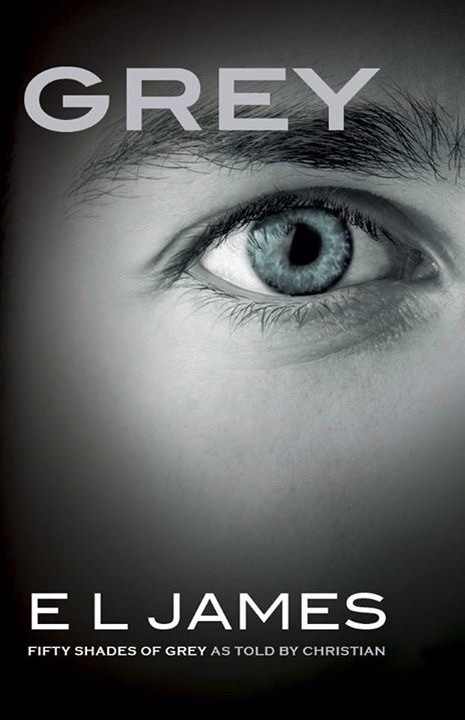 Finally, we will be hearing the story from Christian Grey’s perspective, and the page count is 576 which is more than the original. SWEET! My phone was going nuts, and when I saw the news I couldn’t believe it! I cannot tell you how thrilled we are about this news! You can read the full press release on E.L.’s website here. It will be releasing on June 18th in the US, Canada and the UK. I’m sure more dates will be announced worldwide. This entry was posted in Book News, Books, Christian Grey, E.L. James, favorite author, Favorite Book Boyfriends, Fifty Shades, Fifty Shades of Grey, Romance and tagged Book news, Books, Christian Grey, E.L. James, favorite author, Favorite book boyfriends, Fifty Shades, Fifty Shades of Grey, Romance. so I’m thinking this will just be his POV from the first book, that’s what it looks like reading at the statement on the bottom of the cover, doesn’t matter, thrilled to be able to read it……so exciting…..
That’s what I’m thinking too. So excited! I’m doing my Happy Dance! I’ve ordered mine! I loved the chapters she wrote in his POV at the end of Freed, so I’m really going to enjoy Grey! I was excited to hear the news that “Grey” will be 500 pages long. WOW! How did she ever keep this under wraps for so long?? Well, we won’t have long to wait for the 18th of June. It’ll be another bestseller. That was my reaction as well. To be able to keep it secret…well that’s just amazing! I’m so glad we don’t have a long wait!!!!!!!!!!!!! What a cool surprise this morning. I’m so happy that it didn’t end up like Stephenie Meyer’s Midnight Sun. You know I’m still bummed that she never finished and released Midnight Sun. Got my order in on amazon !! Can’t wait !!! Squeeeeeee! I am so over the top about this news! I am so thrilled! This will make up for the fact that we have to wait til 2017 for the second movie. I am so excited. WOW!! I have wanted this since the first book and especially since she had the first chapter from his point of view. I am so glad that she did not announce this and then we had to wait a year. My birthday is this month and I received an early birthday gift!! Can’t wait. Thank you so much EL James you have made your readers so very happy!